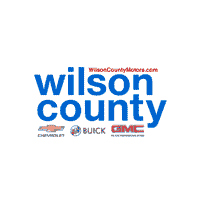 The Certified Service experts at Wilson County Chevrolet Buick GMC know precisely which parts your Buick, Chevrolet, GMC car, truck, or SUV needs —rely on them to maintain your vehicle with the same parts used to build it. Hearing a rattle? Had a fender bender? Head down the service lane for any type of auto repair service, major or minor. Our GM Certified Service experts are trained to know every inch of your vehicle and can help you keep it running like new. Simply schedule an appointment today.